A few weekends ago we went sailing on the historic Alma, a ship that’s part of the San Francisco Maritime National Historical Park. Did you have any idea that San Francisco was home to so may national parks? I grew up here, and I didn’t even know! I just didn’t understand the significance. And as the National Park Service enters its centennial year, it’s an important reminder for all of us to enjoy the national parks that are right in our own backyards. So, what does one wear sailing? 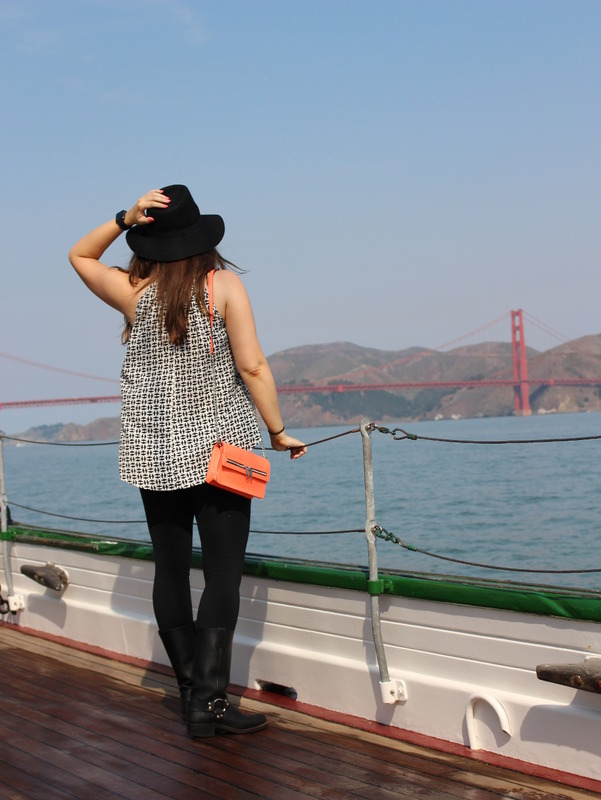 Since this sailing trip was in the middle of our epic heat wave, I decided on simple styling of leggings, boots, and a breezy summer top. Surprisingly, I didn’t really need the Marmot jacket I packed, but it was good to have on standby because the fog can always abruptly roll in. Moto boots are great on a slippery boat deck because they have grip, and I definitely needed that when lending a hand setting sail. I probably won’t ever sail again in conditions like this, but it’s great to know the Alma is always there at the Hyde Street Pier for my next excursion. Like this look? 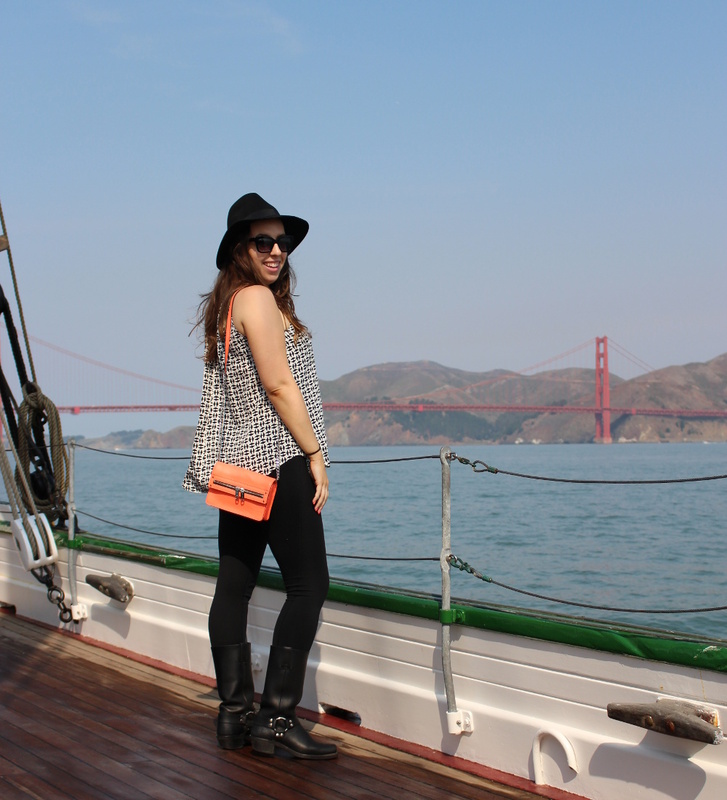 Then you should check out some of my other outfits and my previous look featuring Byer CA. 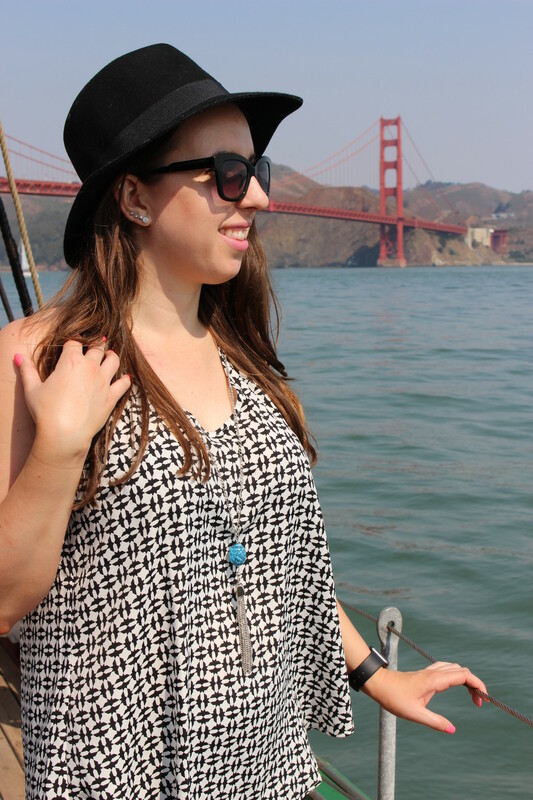 Be sure to use code chelseapearl at checkout for 20% off your Byer CA purchase. Disclosure: I received this top courtesy of Byer California. What a cute outfit – it’s a go-anywhere do-anything look! I’m a sailor and it’s important to wear non-marking shoes when out on someones boat. 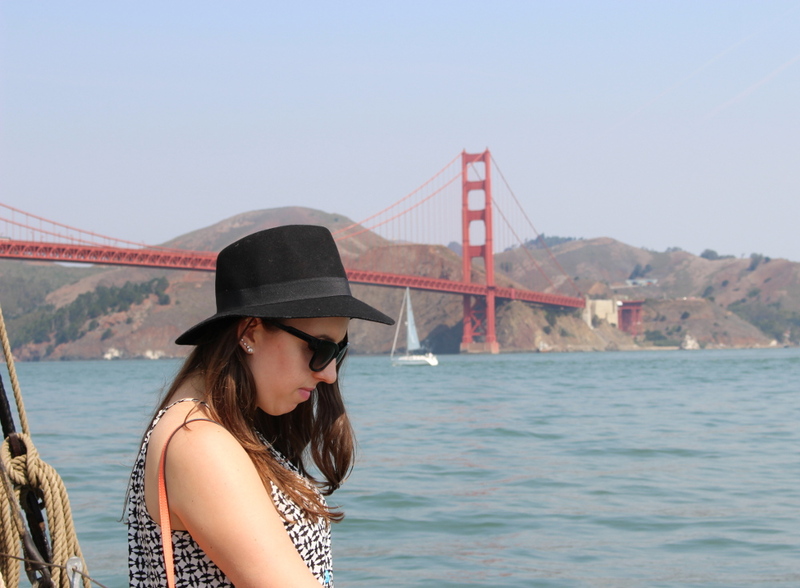 I’d love to go sailing around San Francisco – lucky you!! oh this is cute! i love how simple and cute it is, and that top is my favorite! Great outfit – looks like you had a wonderful time! Super cute outfit! It looks so comfy and stylish! these pictures are gorgeous and how CUTE r your boots? San Francisco is one of my favorite cities ever. I can never get tired of looking at the Golden Gate bridge!! Your outfit is really cute!! Cute top and love the boots! Looks like sailing was fun. Love your attire! Anyway nope, I had no idea that San Francisco had that many national parks, I must visit soon since I live in California myself.